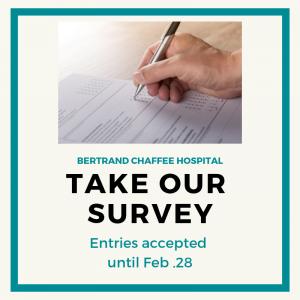 Bertrand Chaffee Hospital has begun its 2019 Community Health Needs Assessment process, which relies in part on input from focus groups and an intensive survey of individuals in the community. This periodic assessment gives the hospital a better sense of community health needs, so that it can better direct its priorities and deliver its services. 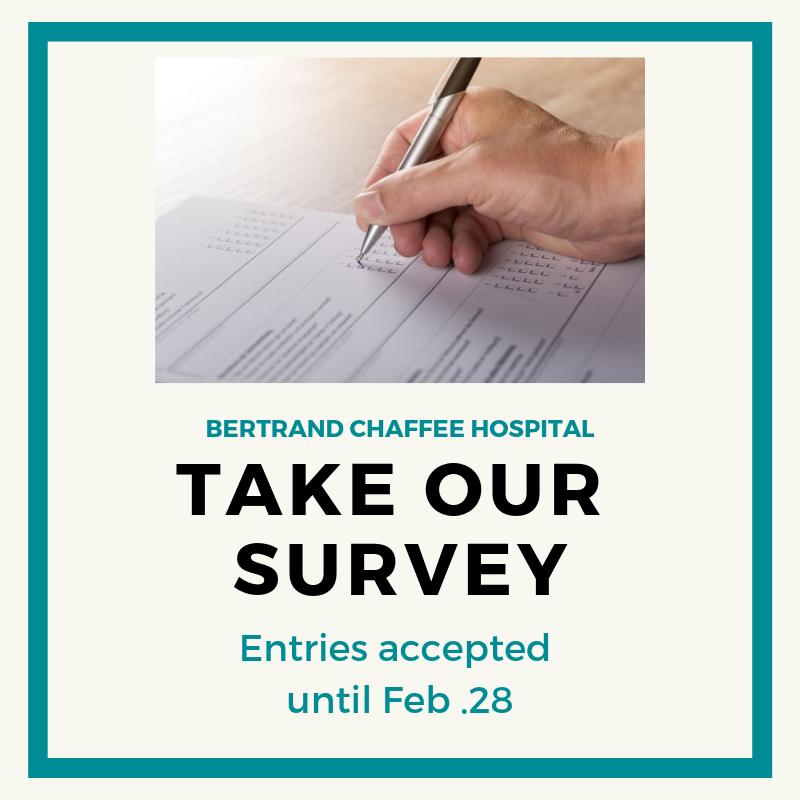 The online survey is open until February 28 at THIS LINK. (note: this is a new link; please use the survey that is for Erie County). Participants from the BCH service area who complete the survey are eligible to be part of a drawing for one of two $50 TOPS gift cards. Focus groups are scheduled on Wednesday, January 30 in the afternoon at the Concord Public Library in Springville. BCH is looking for 10-15 community members for each session. Facilitators from the Population Health Collaborative in Buffalo will guide individuals through a series of questions to discover opportunities and challenges related to healthcare, access to healthcare, and related services. Contact Kara Kane at (716) 592-2871 ext. 1485 to be a part of the focus group or with any questions about this project. A full report will be available later in 2019. Bertrand Chaffee Hospital is offering the Freedom From Smoking program starting on Monday, January 15 and running weekly through February 26. This program is taught by an American Lung Association-certified respiratory therapist. Each class runs from 6-7:30 p.m. and registration is required. The cost for the program is $80. Please call (716) 592-9643 for more information and to register. 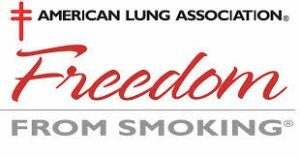 Bertrand Chaffee Hospital is offering the Freedom From Smoking program starting on Tuesday, October 10 and running weekly to Tuesday, November 21. This program is taught by an American Lung Association-certified respiratory therapist. Each class runs from 6-7:30 p.m. The cost for the program is $80. Please call (716) 592-9643 for more information and to register. The members of the Springville Regional Services Coalition would like to thank Cheryll Moore and the Erie County Department of Health for coming to Springville Middle School on April 19 and giving a comprehensive training on opioid overdose recognition and naloxone use. She presented an eye-opening session that demonstrated the increase in overdoses and deaths caused by overdoses in our county, the importance of addressing this as a public health issue. 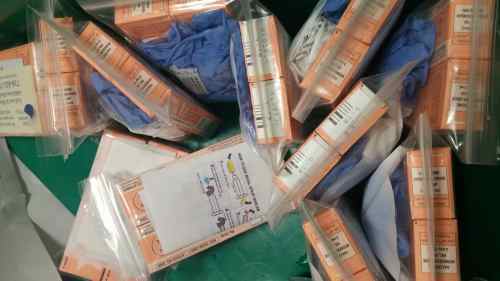 Ms. Moore has taught more than 15,000 people how to use this lifesaving medication and we are grateful that she has been able to train several hundred people in our community on its use. Several times during the workshop, Ms. Moore thanked the participants for “taking care of (their) community.” Thank you, Cheryll, for your work to end the opiate epidemic. This workshop was one of several substance abuse initiatives that our coalition is working on. We coordinated a similar event in September 2016, and it is our group’s plan to offer trainings likes this on a regular basis. The SRSC meets on the third Thursday of each month at 10 a.m. at the Springville Village Court conference room. All are welcome. The Erie County Department of Health and the Opiate Epidemic Task Force have print materials available on their web site (www.erie.gov/health) and the Crisis Services Addictions Hotline is available 24 hours a day: (716) 831-7007. Call that number for support and referrals to treatment.